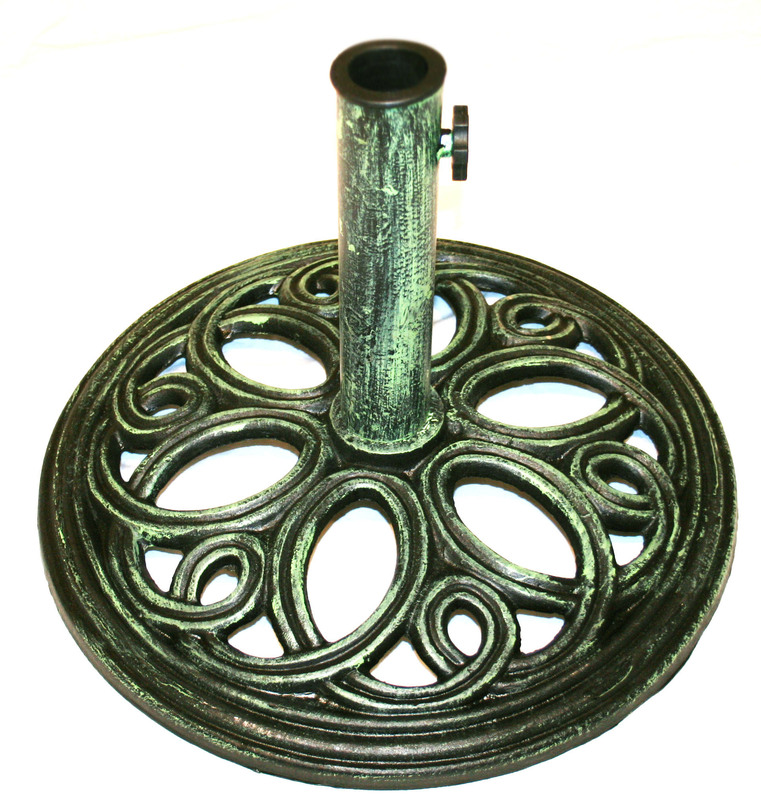 This cast iron round umbrella base is finished in a traditional green colour and features a pretty vintage swirl design. It helps to provide sturdy support for a garden umbrella and is ideal for ensuring it is secure in light breezes and winds. It has a tightening screw on the side to ensure the umbrella is secured inside the base. 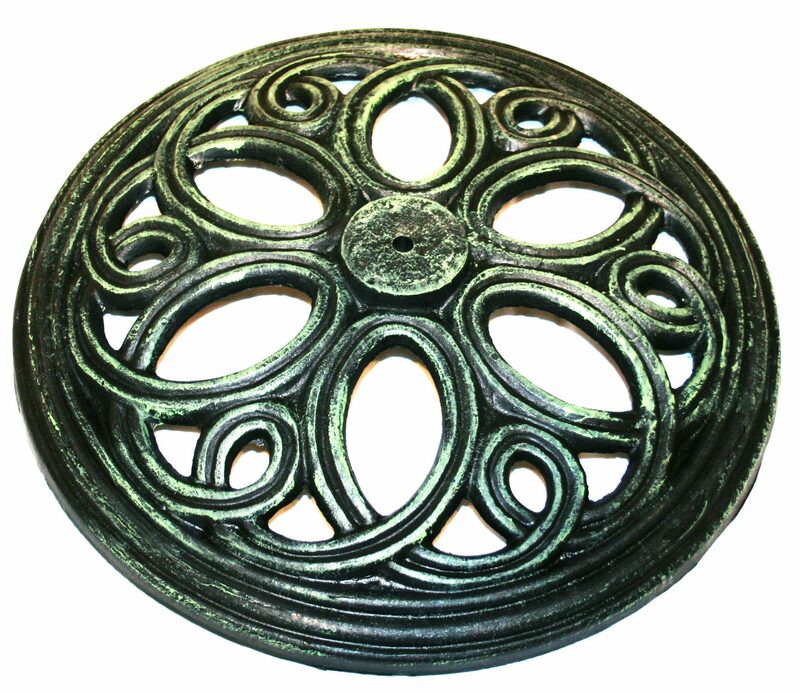 This cast iron round umbrella parasol base is finished in traditional green colour and features a pretty vintage swirl design. It helps to provide sturdy support for a garden umbrella and is ideal for ensuring it is secure in light breezes and winds. It has a tightening screw on the side to ensure the umbrella is secured inside the base.